When you come to Ben’s class you can expect to sweat, laugh and relax while you learn something new about yoga and possibly about yourself. Ben believes that yoga can improve our physical, mental, and emotional well-being and that it can also help us ask and sometimes even answer the biggest questions we have about ourselves and the Universe. Peak Flow: Ben will make challenging, “peak” yoga postures more accessible for you with a balanced combination of stretching, strengthening and alignment. 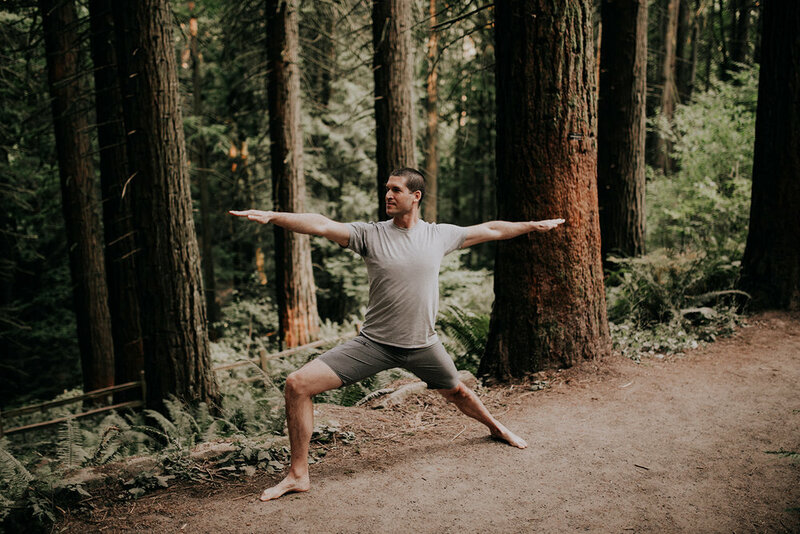 Steady Flow: Ben prefers to move and breath in a slow, steady flow, giving you time to safely find your edge and to cultivate yoga’s more subtle benefits. Mindful Flow: In Ben’s experience, we can’t always control what happens in our lives but we can do our best to respond calmly and consciously to whatever happens. A consistent yoga practice can help us build and maintain our capacity for mindfulness. Ben has completed close to a thousand hours of yoga teacher trainings and feels enormous gratitude for his teachers, Jason Crandell, Todd Jackson, Don and Amba Stapleton and Rusty Wells. He is honored to continue mentoring with Jason Crandell as an assistant in advanced teacher trainings in San Francisco.